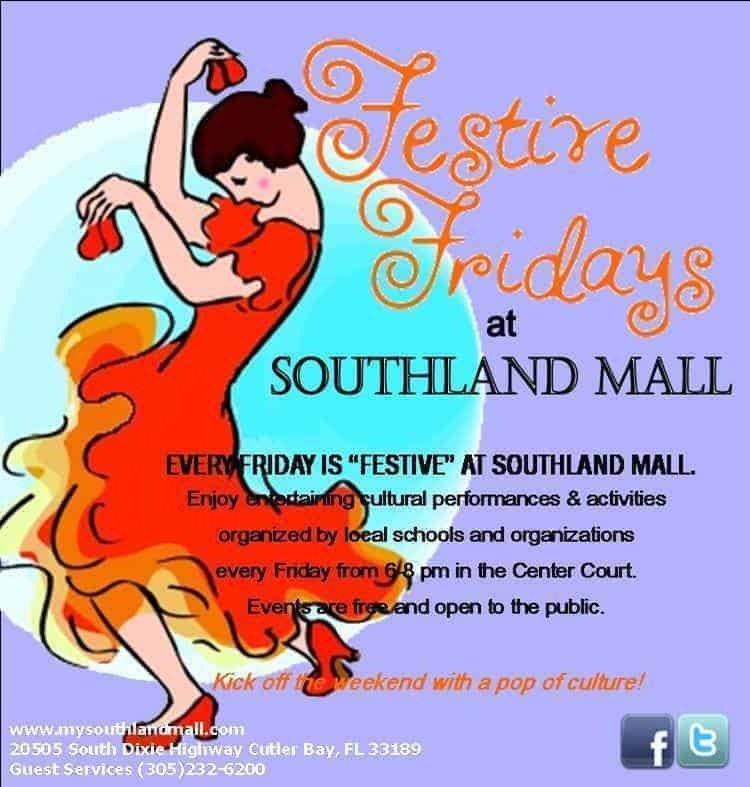 Southland Mall invites the public for free “Festive Fridays,” showcasing the talents of local musicians, dancers and artists as well as hands-on activities and interactive experiences for the entire family every Friday from 6 to 8 pm in the Center Court. April 26 – Students from National Karate Academy of Cutler Bay will perform karate demonstrations. Southland Mall is on South Dixie Highway and Southwest 205th Street in Cutler Bay.